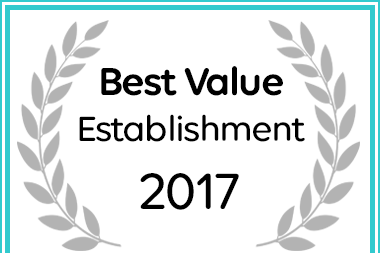 La Campagna Olive Estate has been named a Best Value Modimolle (Nylstroom) Establishment. Situated on an olive estate in Limpopo, in the heart of the Waterberg, only 15 kilometers from Bela-Bela and an hour's drive north of Pretoria. La Campagna Olive Estate is under new management. Vast improvements have been completed to ensure that our guests enjoy a carefree stay at the estate. Accommodation at La Campagna Olive Estate is provided in seven well-equipped self-catering chalets for up to thirty guests. All chalets are secured with an alarm system for guests peace of mind. Additional facilities include a beautiful saltwater swimming pool with a thatched patio for sundowner cocktails, as well as a children’s playground. The renovated lapa and boma are suitable for small functions. For those who are more sporty and adventurous, La Campagna is centrally situated amongst Limpopo major Golf courses [Koro Creek, Elements, Zebula, Euphoria and Legends Golf courses], and in close proximity to Resorts offering Game drives, Game Rehabilitation centre, Thaba Kwena Crocodile farm and only 15km from the Hot mineral springs and Water park at the Aventura Forever Resorts. Would you like to make a booking? Fill out our booking enquiry form here!